Klayman Says in Wake of Phony IG Report President Must Take Charge of DOJ! 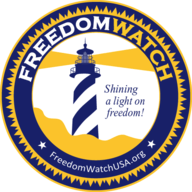 Go to www.FreedomWatchUSA.org to Sign Petition to Name Klayman Special Counsel! Also Donate and Share!